Photo of the day: Joop, Francoise, and a Derny. Joop Zoetemelk has just released a new Nederlands language autobiography, 'Open Boek', to celebrate his 65th birthday this coming Saturday. The book's made big news over in de plaatland because of it contains some sensational personal revelations by this champion who was ironically criticized during his long career for being less than sensational. Joop appeared Friday night on the TV show Motel DeJong (video here) - the show of Netherland's top TV journalist Wilfried DeJong- to promote this magnum opus volume that looks like it weighs as much as a Paris-Roubaix Pave-stone trophy. Cool book. For those of you who don't remember him. 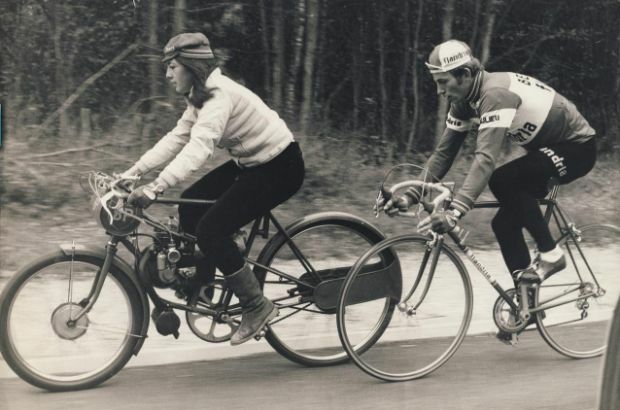 Joop is the Netherlands' greatest cyclist ever. Born and raised near Leiden, he trained to be a carpenter dreaming of being a top speed skater in the elfstedentocht (eleven cities)race. He started cycling to stay in shape because the canals didn't freeze one winter. Hard to believe now jongens, but once upon a time I could sprint a bike through a crowd fast enough that somebody actually saw fit to sponsor me. 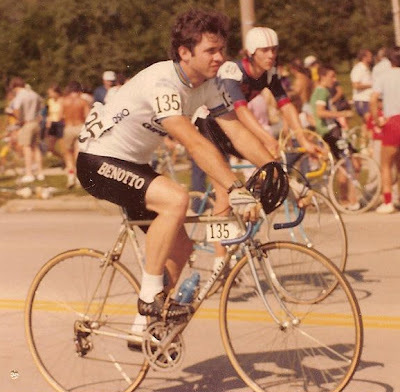 Way back in 1981 I was recruited by Constantin Negulescu to join his Northstar Bicycle Club. The ex-Romanian national team rider had put together an elite US Amateur team, sponsored by a slate of leading Italian cycling brands: Bicicletas Benotto, Gipiemme components, Ambrosio rims, Hutchinson tires and IscaSella Saddles. With the exception of Hutchinson (who still makes killer tubeless tires... raced this whole season on one pair), most are brands either dead, or largely missing in action. But back in '82, well, it was the perfect gear. Herman Van Springel, and the spirit of 68. Herman Van Springel has just launched a new book about his career. It's called '68'. "Laurent Fignon" is to "1989"...as "Herman Van Springel" is to___? And it was a summer when the Tour de France was lost in a heartbreaking final day time trial to Paris. Just like Fignon in '89, only that year, the yellow jersey wearer was a flahute named Herman VanSpringel, a man as soft spoken and modest as he was hard. Wearing jaune, Herman lost the TT, and the Tour to Jan Janssen, Holland's first Tour winner , by 38 seconds. At that time, it was the closest Tour finish ever. Photos of the day: Knicker and Fender season. Brrrr... Cold this morning wielersupporters. Winter's finally knocking. The kind of 'winter's knocking' day you pull those old wool knickers and socks out of mothballs. Here's a photo gallery centered on two pieces of gear that used to mark the end of the go-fast season. We're talking knickers (or 'plusses' for our UK friends). And fenders. They go together like moules and frites. I'm still nostalgic for 'em, but not in the current urban-fixie-hipster wearing fashion. No I'm thinking more like Les Issambres or Lago di Garda, circa 1957. Back when off season training was by 'feel'. 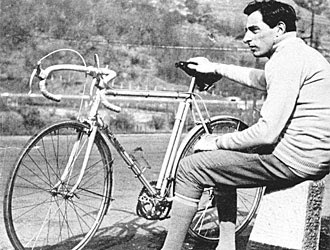 Or as Luciano Pezzi advised, "Da novembre al dicembre, i chilometeri percorsi in bicicletta anche a scopo turistico e ricreativo" Time to just ride the bike. Plymouth Rocks: Old school cross! 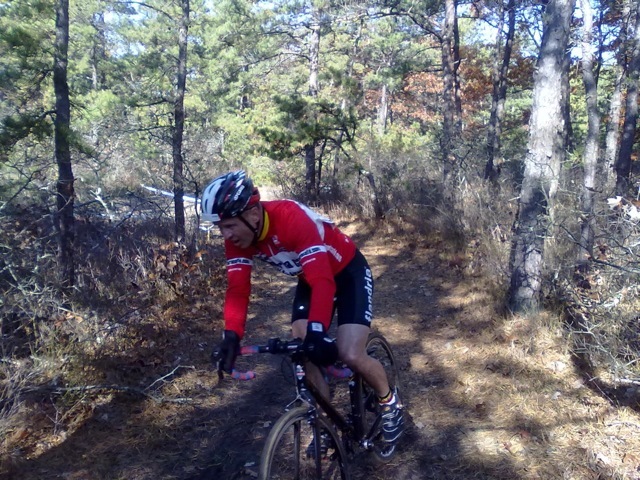 Did a really fun cyclocross cross race in Plymouth Saturday. Plymouth Mass. has long been a home of New England cyclocross, this annual race is a few weeks before Thanksgiving, set in the town that holiday is named after. Thanksgiving was in the air as I drove Friday afternoon 'over the river, through the woods', and across the cranberry bogs to Massahusetts' earliest settlement. Nostalgia. 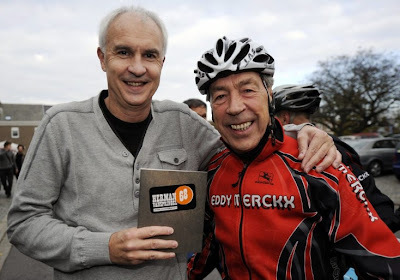 Promoter, and Plymouth cycling godfather Bill Sykes put together another great event. This year's edition was on the weekend of Bill's 60th birthday: That's right, 11-11-11! I stayed Friday night at my pal Paul McCormack's house, so he took me along to also crash Bill's surprise Birthday bash with his family and friends. It was a nice celebration for a really great guy whose done so, so much for New England cycling over the years. It was a good craic, catching up with lots of old friends I don't get to see that often anymore. 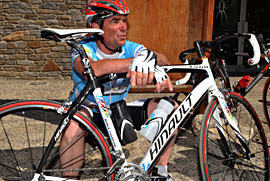 Today, Bernard Hinault turns 57 years young. Spending even a little time together in the company of a person gives you a pretty good insight to their character, into what kind of person they are. And based on that, I think a lot got written and said about Hinault that is complete BS, especially in the English speaking press. But I won't retread 1986 here. 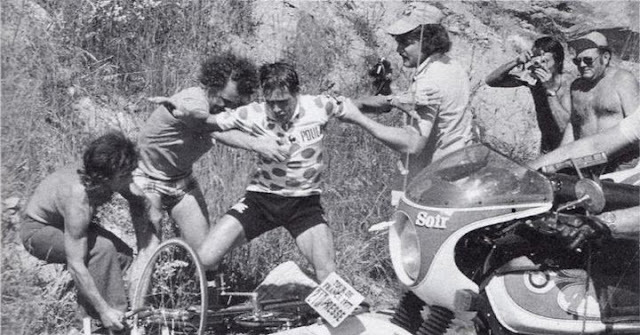 For that, I suggest that even if you remember that tumultuous Hinault vs. LeMond Tour, you've got to read Richard Moore's "Slaying the Badger" for a more balanced perspective. (It's a fantastic read, and great journalism). Images of the day: Lucien Van Impe - 'De Val' of '77. When you name your home 'Alpe d'Huez,' you ought to have a pretty good reason. Well, you can't argue that Lucien van Impe didn't have a good reason for naming his home after the most popular alpine climb among the plaatlanders. Fact is, he had more than one reason. For the climber-god from Impe-Mere, those 21 hairpins to the sky provided a venue for his long career's 'highest high', and biggest 'fall'. Literally. After taking the maillot jaune there in a Tour he'd go on to win in '76, he'd come back a year later, this time with Henri Anglade's LeJeune BP team, determined to solo to another Tour win on the Queen stage. The whole Tour came down to one big day in the Alps. Stage 17. Everyone knew it would be the day the Tour was won, and lost.